I got back the lost files and repaired both laptops. 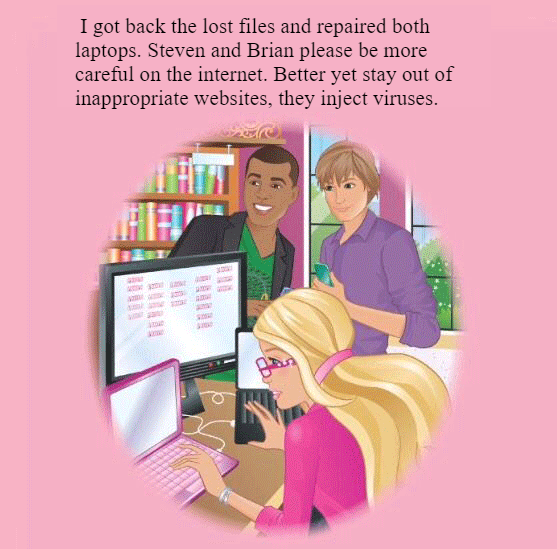 Steven and Brian please be more careful on the internet. Better yet stay out of inappropriate websites, they inject viruses.